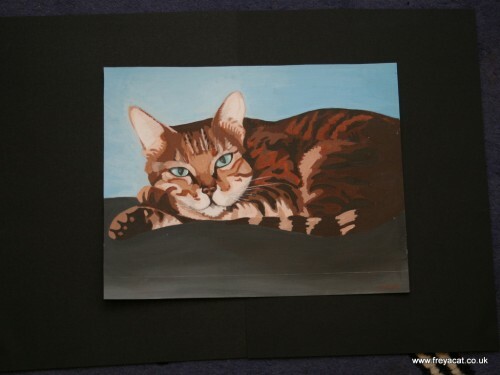 Pet Portrait of Freya the Bengal cat | A Cat Called Freya, and Teego Too! We had a lovely e-mail just before Christmas from Kirstyn Holgate, the pet portrait painter, offering to paint a portrait of Freya! We hadn’t had an offer like that before, and didn’t really know what to say! We sent off a picture for her to paint, and waited for an email back containing our picture. A while later, we got the shock of our lives, when a big parcel arrived at the door, and we discovered it was a hand painted picture, 14″ x 18″ – We’d only expected it to be a digital JPG picture or something, but it was a real painting on canvas! I think she’s really captured Freya’s expression and eyes! 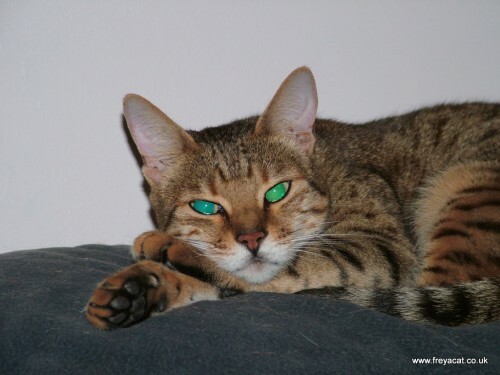 Also her fur in the picture is a little greyer, where in real life, Freya has more reddy/brown colouring, like in her back legs or paws in the picture. Kirstyn has really captured her real colouring too! Overall, we’re thrilled with our painting, and couldn’t be happier with it. Beautiful! We think that is a wonderful portrait of Freya! oh she did a wonderful job! Too many people who paint cats don’t really capture it just right if you know what I mean.. this one is lovely. Purrfect Painting of you, Freya ! WOW! 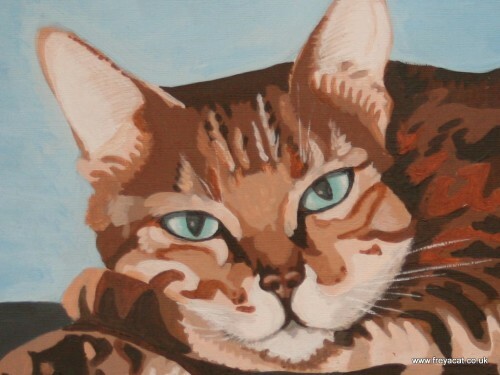 That is a wonderful painting – and it does capture Freya’s special qualities! 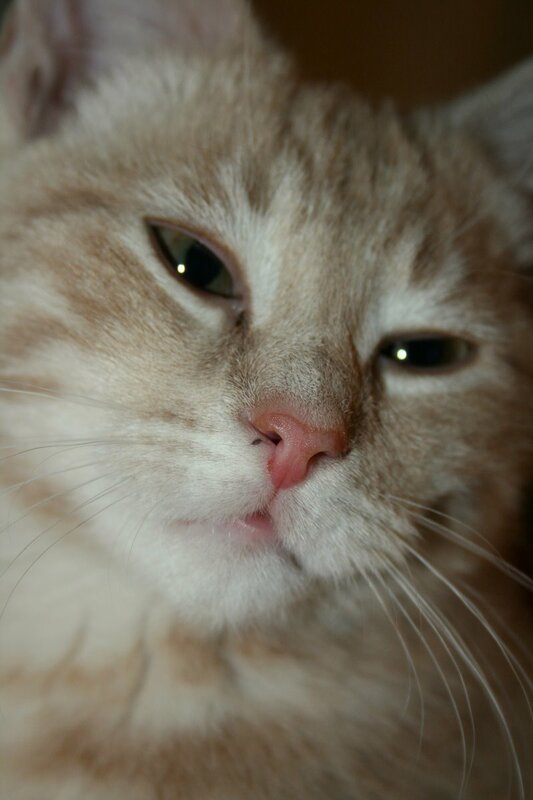 Such a beautiful cat: she definitely deserves to have her portrait painted. It is a beautiful portrait. Freya, you look so lovely! She did a fantastic job! Nanny is taking art lessons right now, and it’s not an easy task. And at times a bit frustrating! But overall a nice hobby. Nanny learned that sometimes (depending on brand and other factors) the paint color can change as it dries. I would definitely hang your portrait in my room Freya!